A while ago I've expressed my interest in using Archilogic's "floor plan to 3D conversion" as a possible starting point for my visualization workflow. As a result Dan reached out and introduced me to the founders of Archilogic. @Jan_Archilogic has been extremely helpful by answering the questions I had, and is very open to feedback. Thank you once again for that @Jan_Archilogic. After creating a trial account you get all the features of a pro account to try out for a for a while. This gives you the ability to import and export 3d models in a variety of file formats. Besides that, you'll also get a voucher for a free conversion. Which is amazing considering that there is some manual work involved as well in doing these conversions. 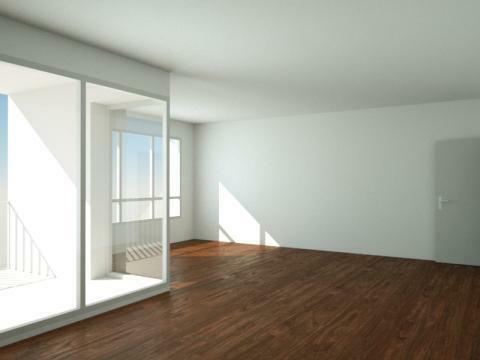 Here's a link to the apartment conversion I received using that voucher. I wanted to include a DWG file with some elevations and sections for them to be able to me as accurate as possible in their conversion. While uploading a DWG file in their order system isn't supported, I've e-mailed it to them and quickly got response confirming they had received it and forwarded attached it to my order. Looking at their pricing, and keeping in mind that there is some manual labor involved for these conversions, I am very impressed by their service. But like I mentioned earlier, I am interested in using the 3D model as a starting point for my own 3D visuals. Hence this little review. Although for this particular project, I will be using Unreal Engine to create an interactive application, for the sake of this review I've did a quick clay render of the living room using Octane render. See image below. Creating this clay render only took me a couple of minutes after importing the model. After that it's just a matter of putting in some furniture, creating or assigning materials and putting in some additional light sources. Just to get an idea, below an image where all I did is assign a wooden floor material. Because of a busy schedule, I won't be creating any finished visuals in Octane render for this project, but I think this does show the potential though. Sadly, you can't export the furniture they put into the model in their online viewer. If that was possible, It would be possible to create some stunning visuals in record time. This means that in my case, the the time spend on furnishing the model is a complete waste, since I don't plan on using the online viewer. Don't get me wrong, I do really appreciate technical aspect of being able to showcase a design with an online viewer. I'd just rather have the option to exclude the furnishing aspect of the service (saving them some time), and have them become even better in their pricing, or using that time to optimize the 3d model some more, as I did run in to some issues in my Unreal Engine workflow. In order to be used in Unreal Engine properly, a 3d model needs to have some higher standards. But that's what this post all about. @Jan_Archilogic asked me for my feedback so that they can improve their service to better suit my workflow. So the "issues" I'll be describing below won't be a criticism, but feedback for them to make their service even better. First some basics information about 3d models that will help those interested in reading all of this, to better understand the issues I encountered. A 3d model consists of vertices, edges and polygons. Faces are basically triangulated polygons. Multiple polygons can create an element, and combining different elements will create a 3d object. Below a picture I grabbed from the internet referring to the things above. 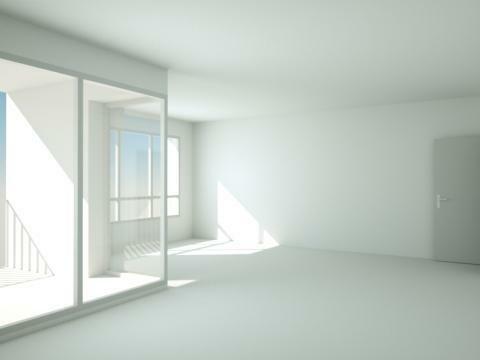 In Unreal Engine, ideally each wall / door / window etc, would be a separate object. Do to the need of separate UV maps for UE to bake the lightmaps on to. You can read more about that light baking over here. The FBX from Archilogic is one large object though. Which wouldn't be a big issue if those walls, doors etc be individual elements. However each wall, window consists of multiple elements, which makes it a pain to work with. The doors are a lot better though! The door frame is an element, the door itself is a separate element, and the door handles are separate as well. This allows for some simple detaching (making these elements in to separate objects, and then combining them in to a door object using an attach command, to be further edited as needed. Due to the way the windows and walls are imported however, making those usable for UE4, would mean spending a lot of time fixing them. So for this project, I'll just create my own geometry using the imported Archilogic FBX model as a reference. Using some snapping I should be able have a UE4 ready model relatively quick. Since I don't have any knowledge of their conversion workflow and the software they use, I don't know if these issues can be fixed by a simple export setting, or if they need to make some serious adjustments to make their conversions "Unreal Engine friendly". For use with a traditional rendering engine, like Octane render, V-ray, Metal ray or whatever you'd like to use, these conversions are simply amazing, and a great starting point, that can save you a lot of time. For UE4 / Unity use, I won't recommend at this time since it's to much hassle to create a usable model for those kind of applications. Like I mentioned before however, they've asked for my feedback in order improve their service for this kind of workflow though. So these issues "may" be resolved soon, making this a valid starting point for interactive visualizations using Unity or Unreal Engine. This, combined with virtual reality is the future of Architectural visualization! Thanks again to the team of Archilogic for their amazing service and allowing me to experiment with their conversion service for free! As soon as I finish this apartment project in UE4, I'll post the results here for those interested. Much thanks for the review and "wish list". I look forward to seeing the results of this apartment project in UE4. Great job. I can save a copy of the model in my account but export seems to be a pro feature. If we get a free floor plan conversion I might try that out. @DannyBasting That is one amazing review you wrote there, thank you so much. While we are in the first place meant to be a web-based platform, we can only admire initiatives like yours and if there are relatively simple changes we can make to enable such initiatives - why not. I will make sure that this feedback reaches the right people. All our Architectural elements are parametric, meaning that we create them inside our program itself. Let's see what can be resolved with export settings or other quick fixes, I will be in touch with you directly. @DanSmigrod , thanks again for introducing us. @UserName , if you have a regular account, you can simply upgrade to the 30-day Pro Trial and we will send you a voucher for a free model (voucher is basically worth $35, which makes the small residential option free). The eventual step to a paid Pro Licence is opt-in, so there is no risk in the process. For all subsequent orders, you can of course use the voucher exclusive to Standard, Basic and Premium Members of the We Get Around Forum, obtainable through the voucher order form. You can reach it from the Welcome Onboard Letter (password protected). That will make model prices even better (15% off), as shown on this landing page. Any questions are of course welcome too (in this forum or direct messages)! Although still unfinished, here's sneak peak.. I've used the UE4 template I've been working on for quite some time discussed over here, with the addition of a color picker and furniture menu. Video below..